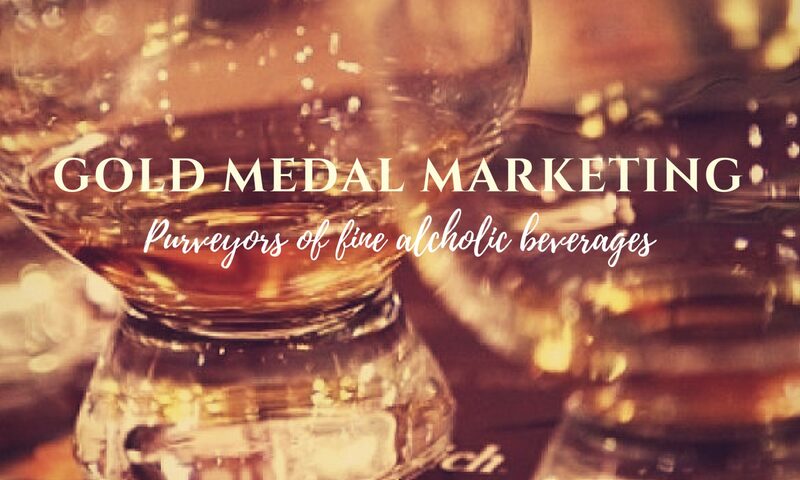 EDINBURGH GIN – GOLD MEDAL MARKETING INC.
Edinburgh Gin – Our classic London Dry style gin. A clean, zesty, juniper-forward gin which balances softness with bright citrus. Launched in 2010, this is our modern London Dry gin, with a nod to Scotland in its recipe including native plants and botanicals. A unique blend of fourteen botanicals includes lavender, pine buds, mulberries and cobnuts. Orange peel, lemongrass and lime peel contribute lively citrus notes. Created by hand in our West End and Leith distilleries, this is a delightfully crisp gin with a distinctively smooth finish. Bottled at 43% ABV, our classic Edinburgh Gin makes for a refreshing G&T, best served with a zesty orange twist and premium Indian tonic water. Its distinctive flavour lends itself perfectly to classic cocktails such as Martinis, Negronis, and Gimlets. 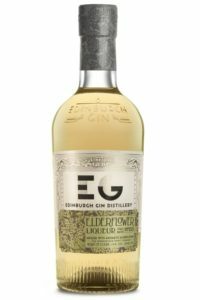 Edinburgh Gin’s Elderflower Liqueur – Distilled using the best native ingredients, locally sourced from the rural landscapes which surround Edinburgh. Subtle yet complex, this floral liqueur is made with freshly-picked elderflowers. Elderflowers have a distinctive floral aroma and flavour that marry beautifully with gin botanicals. The summer’s elderflowers are handpicked in full bloom and then infused with our classic Edinburgh Gin. The flowers are then left to macerate for a month for full flavour extraction. Our 20% ABV Elderflower Liqueur brings a light, floral profile. It is a honeyed, flavourful libation that’s an ideal counterpoint to sharper flavours, and makes a refreshing Elderzest cocktail when paired with gin, lemonade and fresh mint. It makes a sweet addition to good quality tonic water or Prosecco, and is equally enjoyable served over ice. 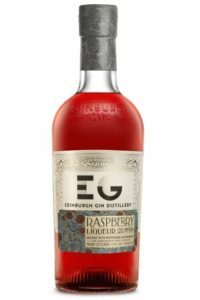 Edinburgh Gin’s Raspberry Liqueur – Perthshire is celebrated for producing the most flavoursome soft fruit, and our raspberries come from a family-owned farm in Alyth, Blairgowrie. The fruit is picked at peak ripeness to ensure the perfect balance; promising just the right amount of sweetness to balance the fruit’s natural tartness. 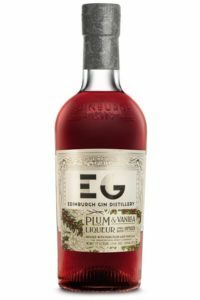 Edinburgh Gin’s Plum & Vanilla Liqueur – This is a luxurious, velvety liqueur balancing juicy plum fruit flavours with delicate Madagascan vanilla. We select the season’s ripest Scottish plums to macerate with fine Madagascan vanilla. This is then infused with our classic Edinburgh Gin to produce a uniquely flavoured liqueur. Our 20% ABV Plum & Vanilla Liqueur is delicious served over ice, topped up with Prosecco or mixed with soda. It also makes a beautiful addition to a classic Sour, the rich sweetness complemented perfectly by zesty lemon. 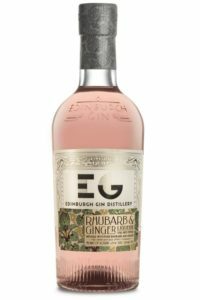 Edinburgh Gin’s Rhubarb & Ginger Liqueur – A mainstay of kitchen gardens across Scotland and intensely flavoured, rhubarb is the ideal ingredient for a sweet gin liqueur. Freshly picked spring-crop rhubarb is spiked with Oriental ginger and infused with our classic Edinburgh Gin. The rhubarb and spice are left to steep for four weeks, allowing for the complex flavours to marry together. Bottled at 20% ABV, the sweetly-spiced notes of our Rhubarb & Ginger Liqueur make the perfect addition to a classic Bramble. This aromatic gin liqueur is equally at home over ice, topped up with chilled Prosecco, or mixed with ginger ale, garnished with fresh ginger and a lime twist. 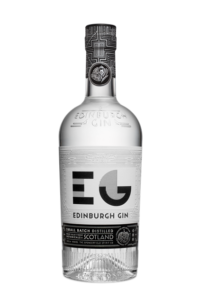 Edinburgh Gin’s Pomegranate & Rose Liqueur – Inspired by dusky evenings in the Orient, this liqueur is light and fragrant, evocative of sugar-dusted Turkish Delight.